This is one of my most ambitious projects, as it aims to capture everything I learn through books, film, education, life experience, contemplation, etc. into a single place, and to present it as a concise nugget of interestingness. 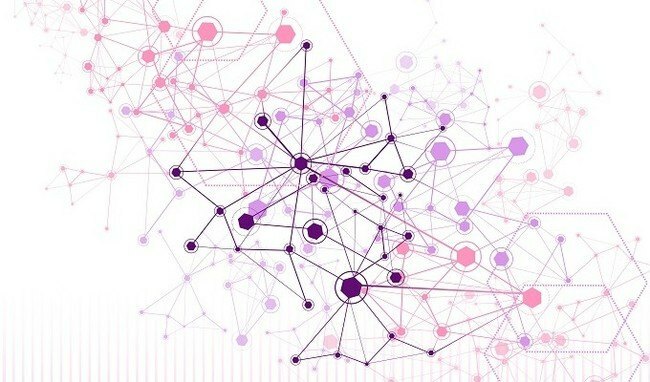 Eventually the goal is to then link those pieces of wisdom together into something like a Wisdom Genome so we can see relationships between them, etc. So when I learn something from To Kill a Mockingbird, or Thinking Fast and Slow, or How the Mind Works—what specifically did I learn? This resource aims to capture that, and will be one of the flagship resources on the site. Cancer is an aging problem. Evolution doesn’t like people staying around injecting too much error into their own cells, so cancer evolved to ensure that after a certain point you’ll simply die of it. When you approach a problem, start from scratch instead of starting with the limitations of existing solutions. Example: figure out how to better convert battery energy into car torque, not how to improve on previous attempts to do so. Convexity means building an approach to decision-making where you gain well if things go well, but don’t lose that much if it goes poorly. The opposite is concavity, where you lose a lot if things go bad, and don’t really gain that much if it goes great. 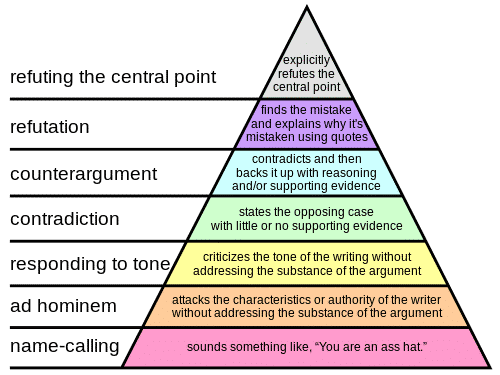 Graham’s Disagreement Hierarchy has the following quality tiers for arguments, from best to worst: refuting the central point, refutation, counter-argument, contradiction, responding to tone, ad hominem, name-calling. The moralistic fallacy is the leap from ought to is, meaning the feeling that things are the way they should be, which they’re usually not. The Golden Circle of effective thought leadership is three concentric circles. The innermost is Why? The next one out is How? And the outer one is What? Great companies start with Why? and move outward. Mediocre companies start with What and never quite make it inward. Companies that start with Why resonate with people, and get them to believe in their vision. This makes it so they’ll buy anything from the company. Companies that start with What blend in with everyone else, and don’t ever stand out. The concept applies to people as well. Good leaders of people have a vision and a core set of beliefs, and they lead by pursuing those beliefs through the How? and What? Weak leaders just tell you What and How, and don’t provide any insight into Why. Experiencing Self vs. Remembering Self is how part of you experiences things, and another records and recalls memories about those experiences. This affects happiness and experiences because the end of experiences are what get recorded and considered by the remembering self. System 1 and System 2 are two primary ways to form thoughts: System 1 is fast, automatic, frequent, emotional, stereotypic, subconscious. System 2 is slow, effortful, infrequent, logical, calculating, conscious. Kahneman uses these different modes of thought to describe many things about how humans behave. The Anchoring Effect talks about our tendency to be influenced by irrelevant numbers that we’re exposed to, e.g. judges giving shoplifters more time if they rolled dice that came up with a high number. O-Ring Theory is the idea that when you have a series of steps being performed, you dramatically reduce the quality of the product by introducing B anc C players in the stream, whether they are people or processes. So if you have 5 A players, and one C player, you end up with C or B quality. And the more A players you have the higher the quality goes, but the more low-quality players you have the worse the quality gets. It’s like you’d imagine, except far more dramatic. Staying Naive About Possibilities: To the beginner there are infinite possibilities; to the expert there are few. You want to figure out a way to get the expertise without losing the optimism of being a novice. The Naturalistic Fallacy is the tendency to believe that what is found in nature is good, or right, or just, or to be imitated as some sort of example. When in fact, nature is quite cruel and vicious and not necessarily something to emulate. The Theory of Constraints is a management paradigm that views any manageable system as being limited in achieving more of its goals by a very small number of constraints. 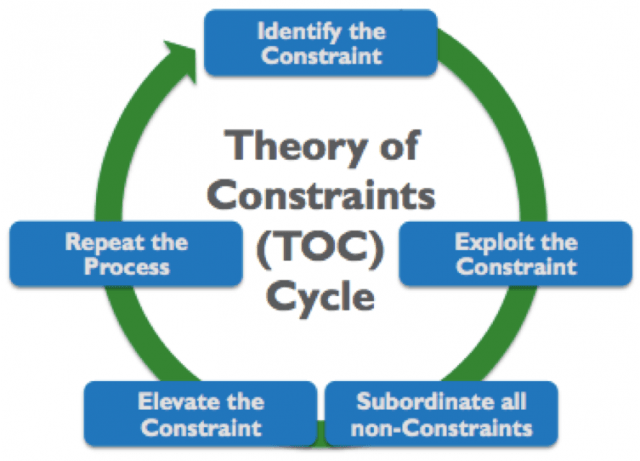 There is always at least one constraint, and TOC uses a focusing process to identify the constraint and restructure the rest of the organization around it. You Already Have Everything: Imagine that you already own everything nice there is to have in the world. Other people are simply storing these things for you—at no cost to you. If you want a new TV, you can have one brought to you at any time. If you want a nice watch, it’s just the same. All things are simultaneously yours as well as not yours, since when you die you will leave with none of them anyway. Don’t obsess over having things that you simultaneously already have and can never have. What’s Fun For You, But Work For Others: Figure out you do naturally that others consider to be extremely hard work, and that might be your calling in life, or at the very least a good way to make money. The Pareto Principle, also known as the Law of the Vital Few, it states that roughly 80% of the effects come from roughly 20% of the causes. The Pseudo-certainty Effect is about peoples’ tendency to perceive an outcome as certain while in fact it is uncertain. It is observed in multi-stage decisions in which evaluation of outcomes in previous decision stage is discarded when making an option in subsequent stages. 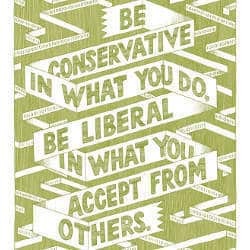 Postel’s Law (The Robustness Principle) says to be conservative in what you do, and liberal in what you accept from others. It’s usually applied to the creation of standards that require a balance between stability and interoperability. Induction vs. Deduction: Induction goes from observations to general statements, and deduction goes from statements to additional statements until you arrive at a conclusion. Inductive results have a likelihood of truth based on the strenth of the argument and the evidence, while deduction results are definitely true as long as the premises are true. Parkinson’s Law says that work expands to fill the time available for its completion. Logical Fallacies are errors in reasoning that undermine the validity of an argument. Formal Fallacies are problems with the argument’s form, and include anecdotes, appeal to probability, argument from fallacy, base rate fallacy, conjunction fallacy, masked man fallacy, and unwarranted assumption fallacy. Informal Fallacies are problems with an argument’s content, and include arguments from ignorance, argument from personal incredulity, ad hominem, argument to moderation, argument from silence, begging the question, confirmation bias, continuum fallacy, equivocation, the ecological fallacy, the etymological fallacy, fallacy of the single cause, furtive fallacy, gambler’s fallacy, hedging, historian’s fallacy, inflation of conflict, if by whiskey, moralistic fallacy, naturalistic fallacy, nirvana fallacy. The are also other types of fallacy, such as: no true Scotsman, cherry picking, thought-terminating cliche’, poisoning the well, appeal to authority, appeal to accomplishment, appeal to consequences, appeal to emotion, appeal to equality, appeal to motive, appeal to poverty, appeal to nature, appeal to novelty, appeal to tradition, appeal to wealth, reductio ad hitlerum, and broken window fallacy. Post Hoc deals with analysis or other activity taking place after the event in question. Ad Hoc is something that’s done for just one instance or purpose. 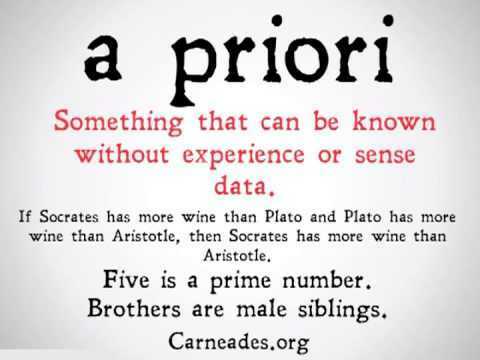 A Priori is something claimed or imagined before gathering evidence, experience, or conducting an experiment. A Posteriori deals with things you can only claim after gathering evidence or experience. This is, however, incorrect. Occam’s razor is not concerned with the simplicity or complexity of a good explanation as such, it only demands that the explanation is free of elements that have nothing to do with the phenomenon (and the explanation). Here’s a quote by Occam himself that shows the true meaning: “The source of many errors in philosophy is the claim that a distinct signified thing always corresponds to a distinct word in such a way that there are as many distinct entities being signified as there are distinct names or words doing the signifying.” (Summula Philosophiae Naturalis III, chap. 7, see also Summa Totus Logicae Bk I, C.51). It’s easier to improve something by 10X than 10%: It’s often extremely difficult to improve any given design or solution by 10% when compared to building a solution that is 10X better because when doing the former you are accepting as given the set of constraints that the previous creator(s) faced. 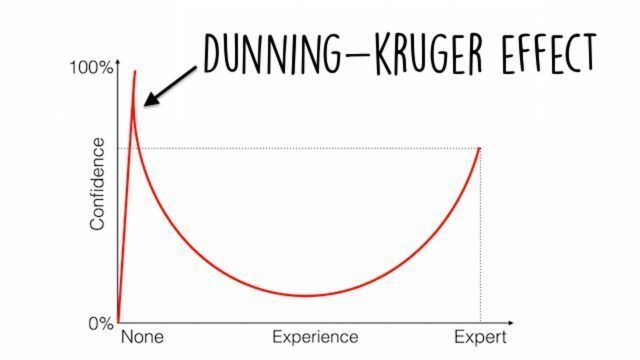 The Dunning-Kruger Effect is where many people with lower skill display much higher confidence than those with high skill. Other symptoms include: Incompetent individuals tend to overestimate their own level of skill, incompetent individuals fail to recognize genuine skill in others, and incompetent individuals fail to recognize the extremity of their inadequacy. Happily, if they can be trained to substantially improve their own skill level, these individuals can recognize and acknowledge their own previous lack of skill. Reciprocal Altruism: Being altruistic because its most beneficial in the longterm for you as well. Basically, people give to those who give back (from biology). Midas World: work and leisure are switched in the future, and the poor are the ones required to buy and consume while the rich can lead simple lives. Cognitive dissonance is the uncomfortable feeling caused by holding two contradictory ideas simultaneously. The “ideas” or “cognitions” in question may include attitudes and beliefs, and also the awareness of one’s behavior. The Nice Guy Paradox: Where women only like kindness from men who aren’t being kind out of necessity. Near / Far Thinking are two modes (or a spectrum of modes) in which we can think about things. We choose which mode to think about something in based on its distance from us, or on the level of detail we need. This property of human mind is studied in construal level theory. NEAR: All of these bring each other more to mind: here, now, me, us; trend-deviating likely real local events; concrete, context-dependent, unstructured, detailed, goal-irrelevant incidental features; feasible safe acts; secondary local concerns; socially close folks with unstable traits. FAR: Conversely, all these bring each other more to mind: there, then, them; trend-following unlikely hypothetical global events; abstract, schematic, context-freer, core, coarse, goal-related features; desirable risk-taking acts, central global symbolic concerns, confident predictions, polarized evaluations, socially distant people with stable traits. It’s not the drug that keeps you addicted. It’s the lack of another life loop to keep you occupied. This is why someone with a healthy life can go the hospital and get drugs way more powerful than what you get on the street, and they can take them for days, but when they leave the hospital they go back to their lives and they’re fine. The solution to addiction, in other words, is having a life that’s better than drugs.